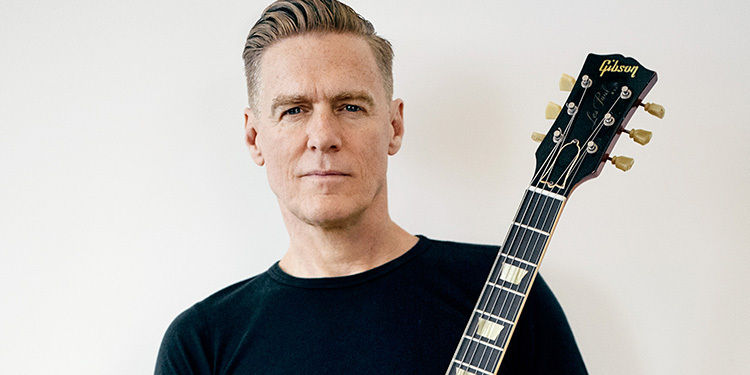 Mark's Tickets is the best place to find tickets for Bryan Adams fans. Just check this page for any new events or schedule updates throughout the year. We sell tickets to every Bryan Adams concert around the world. We know how passionate Bryan Adams fans can be about pop & rock music, so we make sure to have hundreds of tickets for every concert available right up until showtime. For those looking for cheap Bryan Adams tickets, we offer tickets starting at very low prices (many times below face value). We offer tickets in most sections of every venue that Bryan Adams performs. Simply choose the city or venue that you are interested in below, and you will be able to see all of the available seats. Do not forget that Marks Tickets also specializes in sold out Bryan Adams tickets. No longer will sold out shows prevent you from seeing Bryan Adams. Bryan Guy Adams, OC OBC (born 5 November 1959) is a Canadian rock singer-songwriter, musician, producer, actor and photographer. Best known for hit singles including "Summer of '69", "Run To You", number one single "Everything I Do (I Do It For You)" and "18 Til I Die". His latest studio album '11' was released in 2010. For his contributions to music, Adams has garnered many awards and nominations, including 20 Juno Awards among 56 nominations, 15 Grammy Award nominations including a win for Best Song Written Specifically for a Motion Picture or Television in 1992. He has also won MTV, ASCAP, American Music awards, two Ivor Novello Awards for song composition and has been nominated for several Golden Globe Awards and three times for Academy Awards for his songwriting for films. Adams was awarded the Order of Canada and the Order of British Columbia for contributions to popular music and philanthropic work via his own foundation, which helps improve education for people around the world. Adams was inducted into the Hollywood Walk of Fame, with the 2,435th star in March 2011 and Canada's Walk of Fame in 1998, and in April 2006 he was inducted into the Canadian Music Hall of Fame at Canada's Juno Awards. In 2008, Bryan was ranked 38 on the list of All-Time top artists by the Billboard Hot 100 50th Anniversary Charts. On 13 January 2010, he received the Allan Waters Humanitarian Award for his part in numerous charitable concerts and campaigns during his career, and on 1 May 2010 was given the Governor General's Performing Arts Award for his 30 years of contributions to the arts.